I like to think of myself as a bit of a pancake connoisseur – I’ve had pancakes from around the world, and considering that I like my breakfasts, I’ve made a lot of them at home as well. You’ve got lots of pancakes to choose from here: yogurt pancakes, Chinese pancakes, toddler pancakes, sweet potato pancakes, and even pancakes for your dog. These past couple years though, due to my son’s allergies, I’ve been experimenting a lot with eggless pancakes and vegan pancakes. 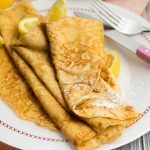 I’ve actually tried and tested too many recipes for such pancakes to remember, and although there are an endless number of vegan pancake recipes to be made, I feel like I’ve been making a dent in the realm of vegan and eggless pancake recipes. 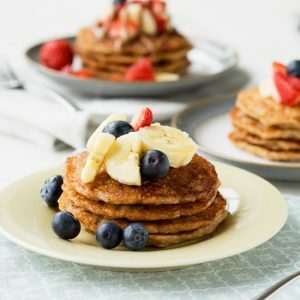 Today, I’m sharing a Vegan Banana Pancakes recipe that is currently one of our favorite pancake recipes we make at home. We always have a banana hanging around the kitchen, so this is a real go-to recipe for ripe bananas. 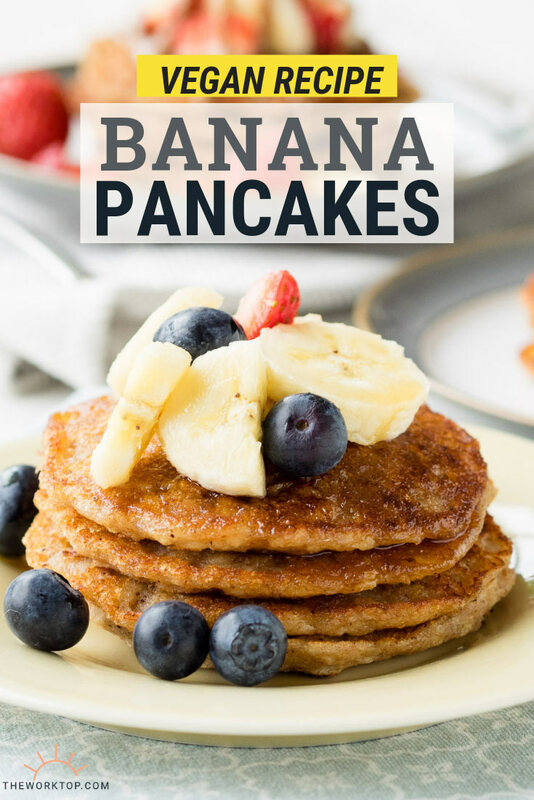 I like making pancakes with bananas because they’re so naturally sweet that you don’t have to add any sugar to this recipe. 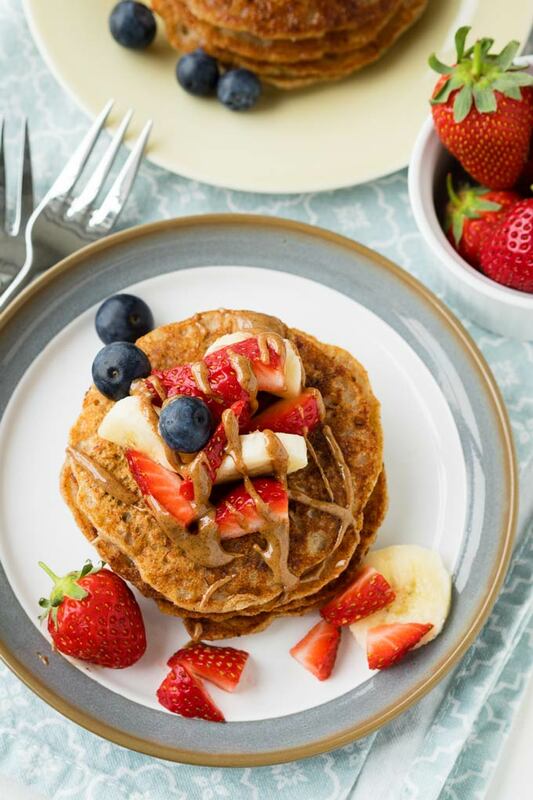 While you can top these sugar free banana pancakes with some traditional maple syrup, I actually prefer using a drizzle of almond butter on top to avoid adding any additional sugars. A favorite topping combination is almond butter, strawberries, blueberries and more bananas. That being said, if you do add maple syrup on top, these eggless banana pancakes will start tasting like banana bread, and that’s no bad thing! 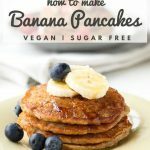 How to make Vegan Banana Pancakes — it’s easy! 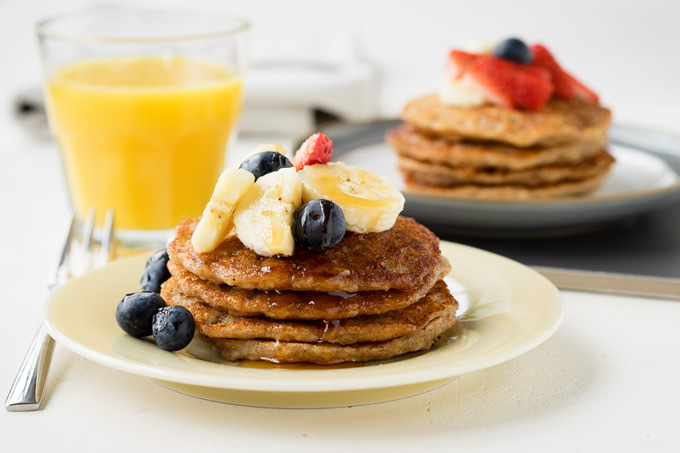 Wondering how to make these banana pancakes yet? 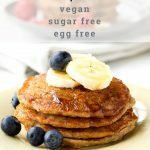 This vegan, sugar free, eggless, and dairy free banana pancake recipe is very easy! Simply mash a ripe banana well, then whisk in the rest of the ingredients and then plop the batter on the griddle. It’s really easy! Without eggs, pancakes always end up a little on the chewier side. 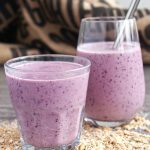 To break up the monotony, I like to add a bit of oats in this recipe. 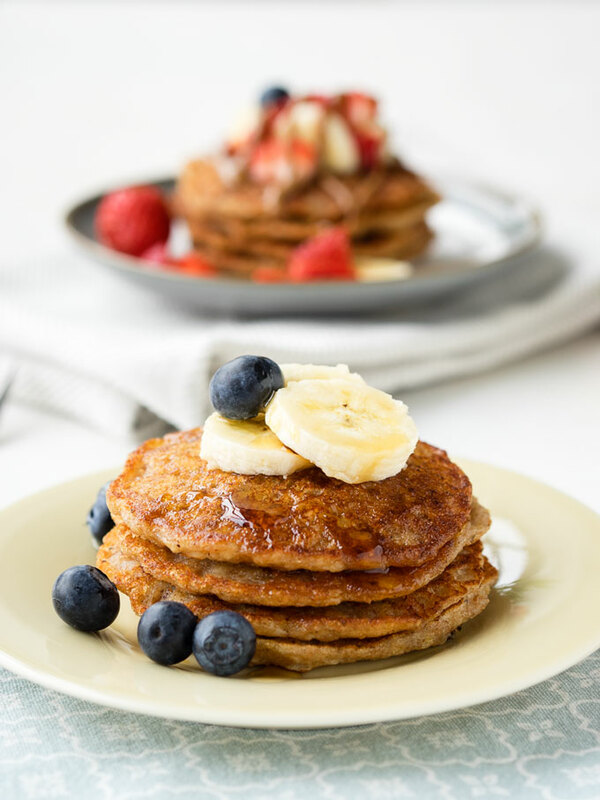 Not only does it give these Vegan Banana Pancakes a bit more heft, but you also get some texture with every bite. 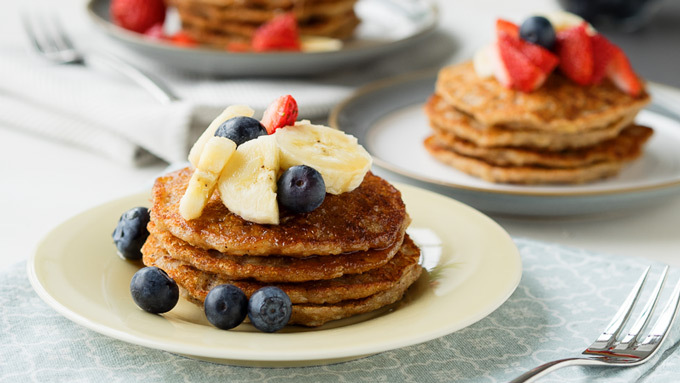 The oats also gives this banana pancake recipe a bit of a protein and fiber, along with the whole grain spelt flour, making these a healthy breakfast. 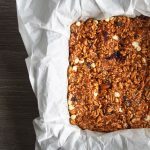 But most importantly, I love that extra bit of oomph that both the oats and the whole grain spelt flour add to the texture. You can swap out the spelt flour for gluten free flour if you would like. 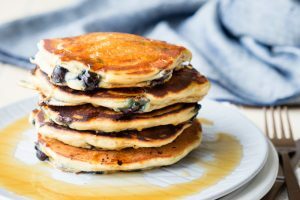 However, if you do choose to use gluten free flour with this banana pancake recipe, the texture may be a bit different (also very dependent on the brand of flour you’re using). Regardless, it will still hold together nicely though. 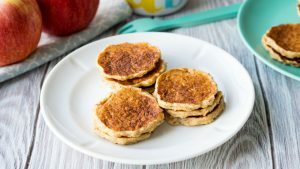 For parents, these baby friendly banana pancakes are sturdy enough to use for baby led weaning, as they don’t crumble apart when picked up by grubby hands. I am a huge fan of pancakes for babies and toddlers because they are so easy for little ones to feed themselves. I’m a proud mom-chef as my toddler cleans out a whole stack of these in no time. Conveniently, this banana pancake recipe is equally delicious cold, or served at room temperature, which means I can pack them for a lunch or snack. Between that convenience and the fact these Vegan Banana Pancakes are dairy free, egg free, and sugar free, we make these at least twice a week in our house. 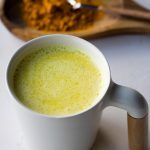 Give it a try and I hope it’ll start becoming a staple in your household as well! 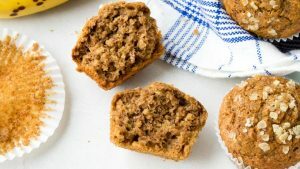 If you (like me) often find yourself with overripe bananas, don’t forget to keep this recipe in mind for next time. In a medium bowl, mash the bananas well. Whisk in the coconut oil. Add all the dry ingredients and roughly mix together. Whisk in the oat milk until the batter is well mixed. Lightly coat a large non-stick skillet or griddle with a bit of coconut oil or oil, then heat over medium to medium-high heat. When the pan is hot, working in batches, spoon about 3 tablespoons of pancake batter onto the pan for each pancake. I usually use an ice cream scoop with a release trigger so all the pancakes are evenly sized. If needed, gently and lightly use the back of the spoon to guide the pancake batter so it spreads out into a 4-inch diameter round. Make sure to leave room between pancakes so you can easily flip the pancakes. 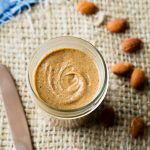 Looking for other similar vegan breakfast recipes? Hi – try spreading out the pancakes a bit thinner. You can also try cooking them a bit longer, like you suggested. Hi De, I’m really sorry to hear that the recipe didn’t work for you. I haven’t had these pancakes fall apart before. 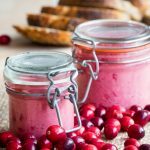 I’d love to help you troubleshoot, and to figure out why the recipe might not have worked. Were the bananas you used ripe? Did you make them on a nonstick pan? And did they fall apart even after waiting for the pancakes to cook fully on one side before flipping? Thanks! I’m using whole wheat sprouted flour in my vegan banana pancakes. One Degree tastes great, as does King Arthur. The key is a ripe banana. These look absolutely delicious and so fluffy! I know how hard it is to make vegan pancakes…sending this one to my vegan daughter to try out.